Mining. 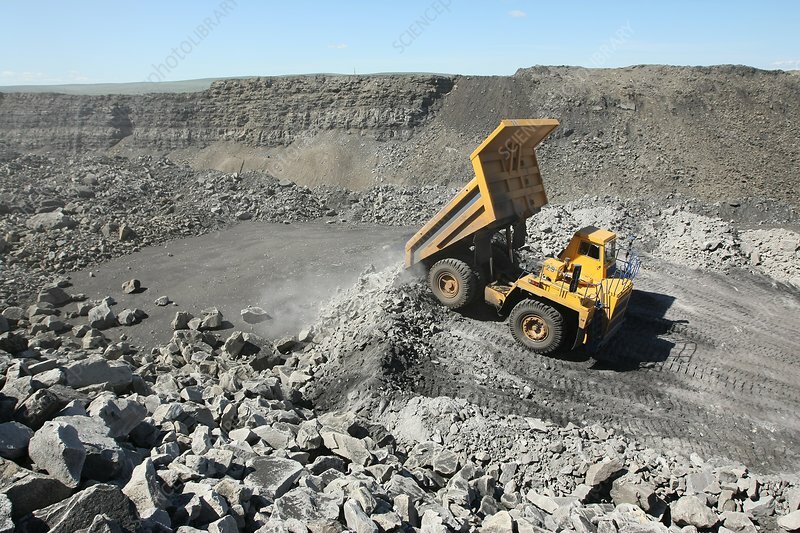 A truck dumping rock in an open-cast coal mine. Photographed in the Tuva Republic of Russia.